OK, so it may be too early to declare Gerber officially back from the dead, but the recently announced Gerber US-Assist S30V is yet another step in the right direction for the much-maligned brand. The first thing touted by the US-Assist product page is the fact that it’s made in Portland, Oregon—the knife capital of the United States. Gerber is really trying to point out how some of its knives are made in the United States, especially after many people complained about the knives being made poorly overseas. The US-Assist is a hodgepodge of quality knife features that have the potential to make an excellent knife. This assisted-opening knife features a 3-inch blade with dual-ramped thumbstuds. The knife uses something called B.O.S.S. Tech, which is a ball-bearing system that reduces friction and increases the knife’s longevity. 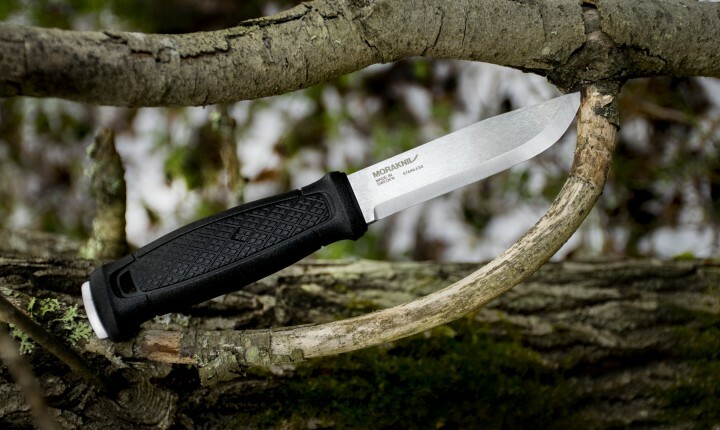 Morakniv, formerly known as Mora of Sweden, is a name that’s well-respected among bushcrafters. Mora knives consistently make the list of best outdoor knives. That’s surprising considering the prices for these fixed blades are shockingly low. The last few months, Morakniv has been teasing a new generation of models named after locations in and around Mora, Sweden. These have been circulating for some time now, but since they’ll be showcased at the upcoming Summer Outdoor Retailer in Salt Lake City, we thought we’d take a more in-depth look. The Mora Garberg is the oldest of the bunch, having been announced at the SHOT Show in January, but it’s one of the most anticipated. 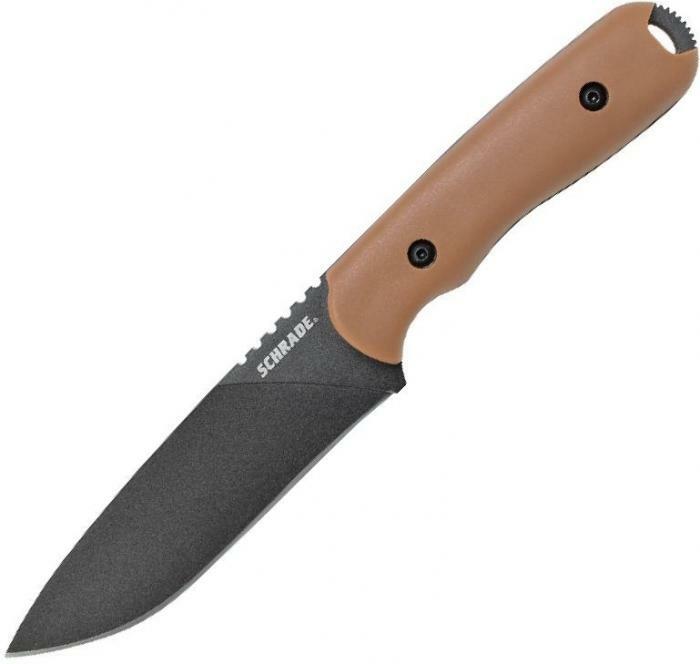 The Garberg is a full tang version of Morakniv’s popular bushcrafting knives. That’s right… full tang! This is pretty exciting considering all the other Moras have rat-tail tangs. Here is a note from the press release back in January. This knife will have a 4.25-inch blade made from 14C28N Sandvik stainless steel—different than the classic’s carbon steel. It will also have an exposed pommel to get some additional use out of that full tang. In 2014, the knife community lost two amazing knifemakers. First, Kit Carson passed away in September; then it was Ed Halligan in September. These two knifemakers were huge figures in the knife community and played roles in helping CRKT become what it is today. So to honor these legends, CRKT is releasing two commemorative knives that perfectly sum up the ingenuity and workmanship of each knifemaker. Both of these knives have production numbers topped at just 200. Let’s take a closer look. Ed Halligan was the second noted knifemaker to work with CRKT, and his biggest imprint on the knife world was his K.I.S.S. design. 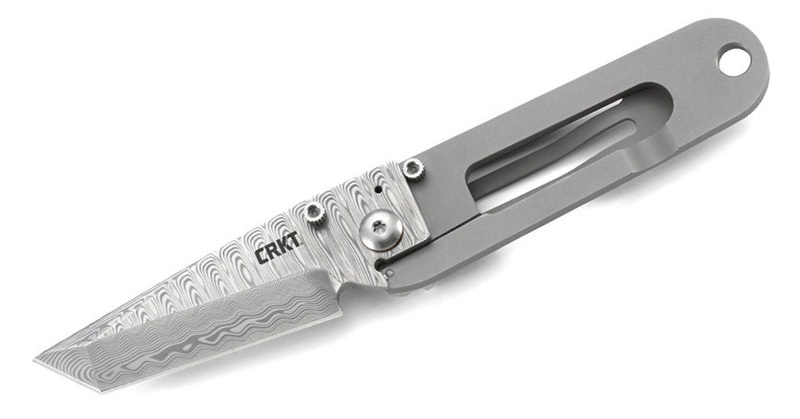 Standing for “Keep It Super Simple,” this series of knife designs became a staple of CRKT. As the story goes, Ed first etched this design on an airplane napkin while flying home from a knife show. Today, there are many copycats, but Ed’s re-mains the only true original. As its name suggests, the knife is simple but highly effective. This knife is a reconstructed version of his original design with a blade that rests against a frame. The handle of this frame lock knife is titanium. But the real special trait of this knife is the Damasteel Damascus DS93X blade with an acid etched Hugin pattern. Some brands release new knives just ece a year. Not Spyderco. The company is always working on new knives and innovation to share with the knife community. Because Spyderco is eager to get its knives out to the public, the brand introduces new products every month. Since a once-a-year catalog doesn’t give customers the full story, Spyderco releases supplemental product guides. 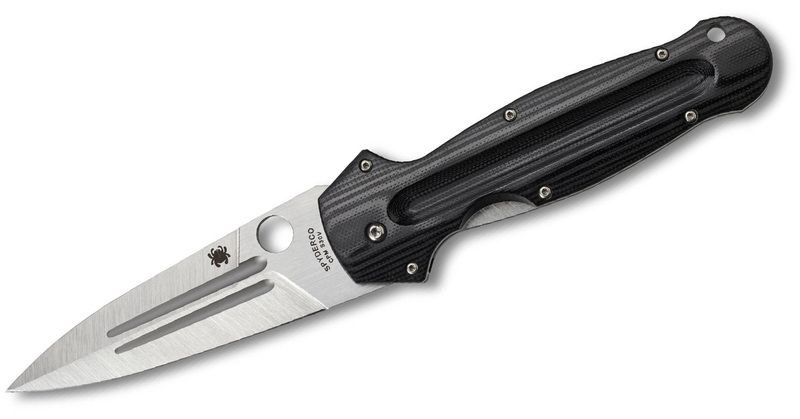 Here are 12 new Spyderco knives in the 2016 Mid-Year Product Guide. The Spyderco Advocate is a tactical flipper designed by the great Gayle Bradley. The 3.49-inch blade is made from Bradley’s favorite CPM M4 tool steel and includes the Round Hole—though the hole is partially covered, making it mostly decorative. 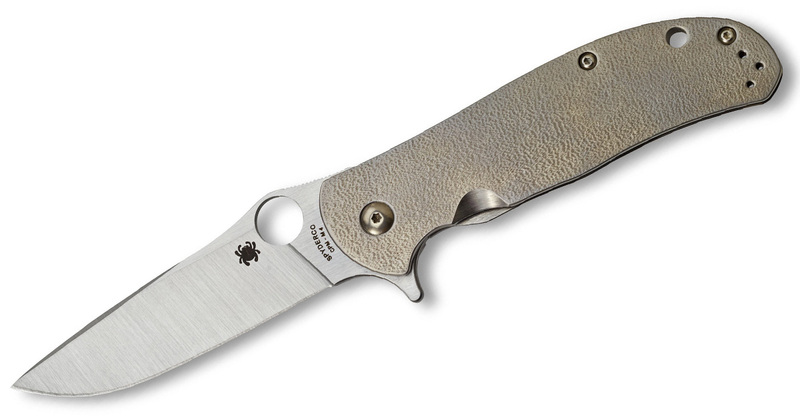 Its handle is made from machined solid titanium scales with a texture Spyderco calls “orange peel” adjacent. The blade stays engaged with the Reeve Integral Lock mechanism. The Rubicon 2 is the next generation of the original Peter Carey design. This version of the folder strips down the design to make it more affordable. 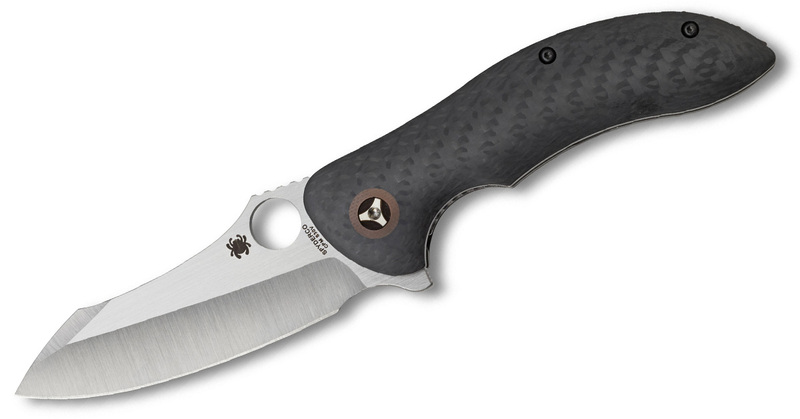 It no longer has the orange G-10 accents, but it retains a carbon fiber handle and CPM S30V steel. The tip-up pocket clip is more in line with other Spyderco pocket clip styles. If you noticed the Rubicon and Magnitude look alike, you wouldn’t be off base. The Magnitude is another Peter Carey design and carries a similar style. The 3.5-inch blade is made from CPM S30V, and the handle is made from carbon fiber scales. A brown G-10 accent pivot is reminiscent of the original Rubicon. Spyderco indulges in some bizarre designs, but its Ethnic Series always has truly unique creations that take cues from knives of other cultures. The EuroEdge is an Ed Schempp design (who’s contributed a few knives to the Ethnic Series like the Schempp Bowie) and combines characteristics of old European swords and daggers. 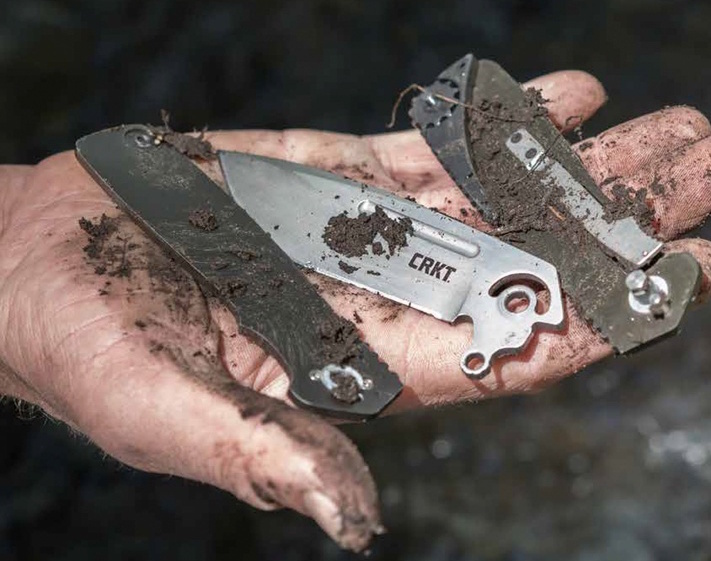 CRKT is no stranger to innovation. In a recent post naming 15 knives with unique opening mechanisms, CRKT made the list more times than any other brand. Now, the brand is coming out with another innovation they’re calling Field Strip technology. The Schrade SCHF56 and SCHF56L are amazing knives. These recently released models quickly became best-sellers for their simple yet thoughtful design and superb performance. I’ve heard people say the SCHF56L is the best knife they have, and that’s quite a high praise considering how many knives are out there. and the Schrade LS56 for the smaller SCH56. Both sheaths are made of 100% vegetable tanned top grain genuine cowhide, which will not cause corrosion to the blades. They’re stitched with heavy duty nylon thread and feature all metal snap fasteners that are nickel-plated to prevent rust. Brace yourself! New Schrade models are now available. There’s been some buzz around these two new models from Schrade, and they’re finally here. 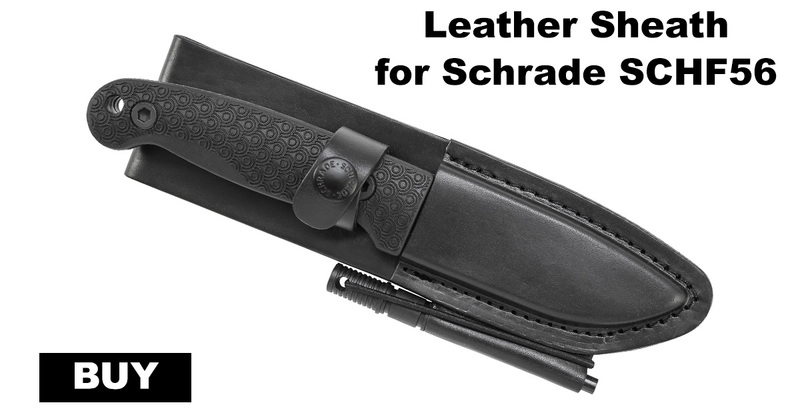 The Schrade SCH111 and SCH112 are fixed blades designed by Joshua Waggoner. Both of these knives are modeled after the karambit. Here’s a little more about each. First up we have the Schrade SCH111 Fixed Blade. The knife features a 2.97-inch blade made from 9Cr18MoV stainless steel and a skeletonized handle. The blade has an interesting blade shape. The new for 2016 items from Schrade are still trickling in. The SCHF51M and SCHF52M models are now available at Knife Depot. A few weeks ago we announced the availability of the SCHF51 and SCHF52 (which were updates on the well-received SCHF36 and SCHF37). So what’s the difference? For starters, the SCHF51M and SCHF52M both feature awesome Micarta handle scales as opposed to the TPE handles of the base models. Micarta is praised for being extremely tough and strong, which makes it a no-brainer for any survival or outdoor blade, such as these two Frontier models from Schrade. 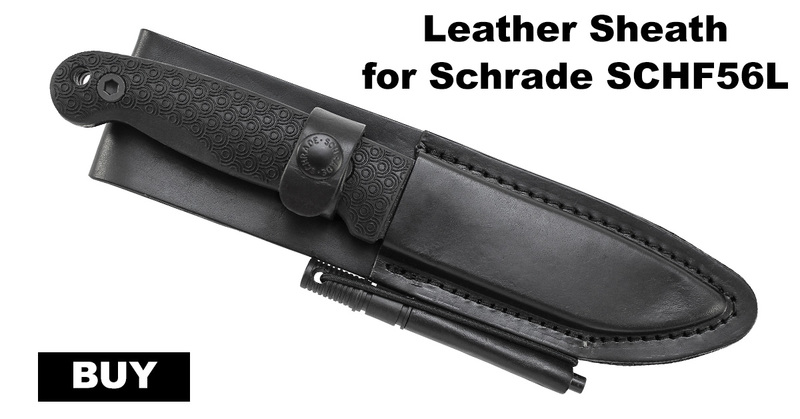 Our slate of brand new Schrade Knives continues with the highly anticipated Schrade SCHF42D. Based off the design from Brian Griffin, the SCHF42D is an update on the SCHF42. Make no mistake about it though, the SCHF42 (yes, the naming system can get confusing) is a hugely popular knife among those in the bushcrafting world. It was nearly universally acclaimed. As with anything out there, there were a few suggestions for the knife that would make it near perfect. The first was with the blade edge. The SCHF42 has a recurved blade, which can be a pain to sharpen, especially if you’re out in the field. 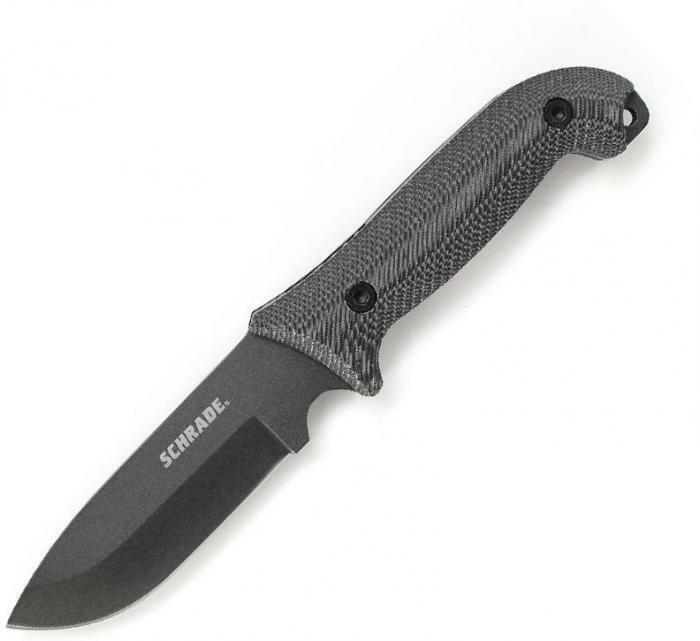 Schrade listened to a lot of the feedback and made the SCHF42D a knife with a non-recurve blade. That means the 5.12-inch 1095 steel blade of the SCHF42D is nice and straight. For this reason alone, I can see countless people making the jump to this budget bushcrafting knife. Hot off the heels of the release of the new SCHF51 and SCHF52 models comes yet another Schrade exclusive at Knife Depot: the SCHF43. This Schrade SCHF43 is a knife that’s been teased around the web for a while, with a whole host of video reviews popping up around YouTube. If you’re not familiar with the knife, it was designed by Chris Tanner of PreparedMind101. Although the official Schrade name is SCHF43, it’s commonly called the Jessica-X. The reason is that Jessica is the name of Chris Tanner’s Becker BK7. He set out to create his own design based off the knife and fondly called it Jessica-X. That name stuck.